Is cryptography a science or an art? Its fruits are beautiful, and only true art can produce a beauty! Dostoevsky said “beauty will save the world.” The beauty of cryptography will save privacy and security of our world in a time of total connectivity. 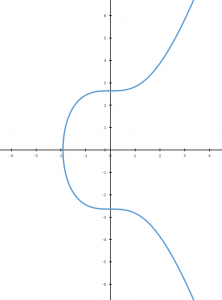 Look at Elliptic Curves, a public key encryption algorithm used in digital signatures by both Bitcoin and CryptoNote protocols. They are beautiful even if you don’t understand the math. They become even more charming when you start understanding. In my recent book, Bitcoin for Nonmathematicians, I tried to explain, without higher mathematics, in layman’s terms, how Elliptic Curves work. It’s not impossible to understand them if you really want to. But they are huge and mind-blowing. And they are just one piece of CryptoNote protocol, which is one of the highest achievements of cryptography. CryptoNote stands out of all other blockchain protocols because it provides something we all need: privacy. We often take privacy for granted and only regret when we lose it. Ironically, Bitcoin and its derivatives take a step backward in privacy area comparing to older payment technologies such as cash or even plastic cards which became an inglorious symbol of compromised security and privacy. Bitcoin creator(s) either did not think about privacy, or simply did not have enough time to resolve all the problems, which is absolutely understandable as they had even more important problem to solve: the very existence of blockchain technology. CryptoNote keeps all the benefits of blockchain technologies, which are well known, while “returning” the lost privacy features: untraceable payments, unlinkable transactions, blockchain analysis resistance, and confidential transaction amounts. On top of that, Graft adds confidential transaction fee amounts to complete the picture. CryptoNote creates a perfect solid foundation for building a variety of industry-related features which Graft brings to light in order to conquer the world of payments.